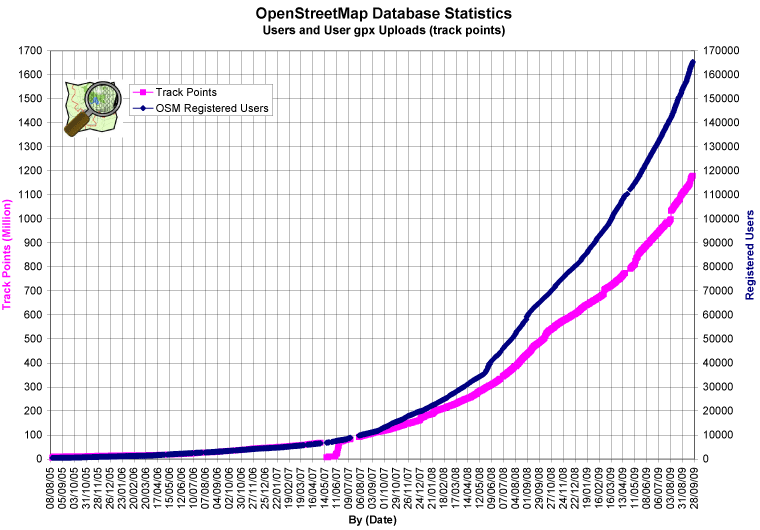 Andy has updated the OpenStreetMap Stats graphs as he does monthly. Check them out – of course the main problem with scale free graphs is they, er, are scale free and hence look the same all the time plus noise. This entry was posted in Uncategorized on September 29, 2009 by Steve Coast. The other problem is that the graph is misleading on its own. It shows around 165,000 registered users, but in the last month only around 13,500 users (8%) made edits.